NEW YORK, NY - It's clear to all within the publishing community that the highly acclaimed business model that has unilaterally sustained the newspaper and magazine industry for decades is now in flux. Much of what has worked in past years - through good and bad economic times, simply is not working today. Although just a couple of years ago online strategies were muffled in business conversation, this is no longer the case. Maybe back then, but not now for certain. Now is the time to take advantage of a corporate sponsorship with LongIsland.com, Long Island’s Most Popular Website, Since 1996; a carefully constructed news site acknowledged to be the most informative and credible of its kind with hundreds of thousands who click to it religiously. 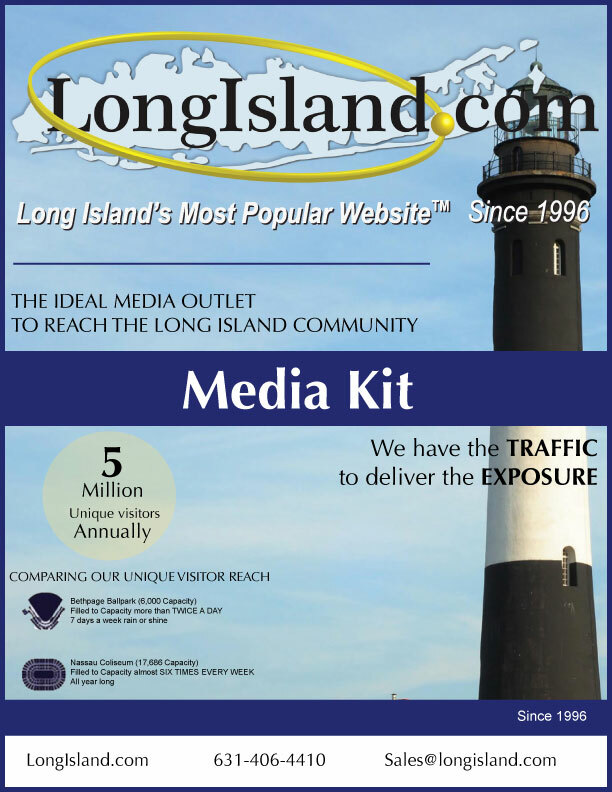 Having your company maintain significant visibility on a local web site of the size and magnitude of LongIsland.com can provide tremendous branding and add value to your business. If your company has been advertising in newspapers and magazines (which are being used less and less with each passing day), now is the time for your organization to seriously consider switching gears and moving those marketing dollars to the larger and more active web sites on the internet. LongIsland.com provides the local community with up to date information from all around Long Island. All information on the site is provided free of charge and readers have no subscription fees. The site attracts over 450,000 people each month. To put this opportunity into perspective, this would be the equivalent of our publication being dropped in the lap of 450,000 people while your ad is on top of each page.